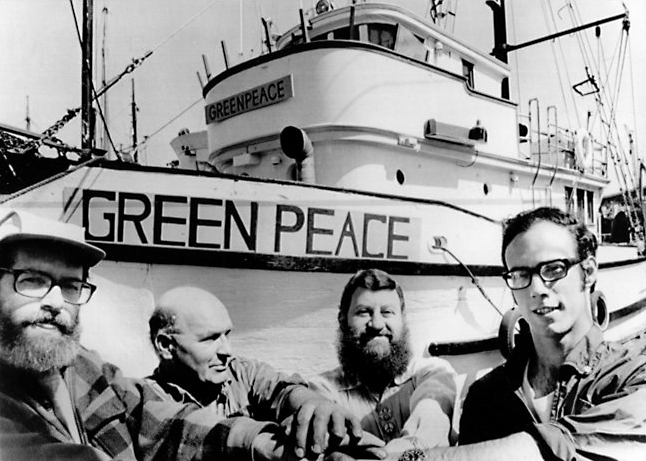 Greenpeace began as the Don't Make A Wave Committee in 1970 in the basement of the Vancouver Unitarian Church. It's sole objective was to stop a second nuclear weapons test at Amchitka Island in the Aleutians. The Committee had seven members in its core group: Dorothy and Irving Stowe, Marie and Jim Boland, Ben and Dorothy Metcalf, and Bob Hunter. To assemble a small core group to address an important issue, you will need to play the all-important role of convenor. Once the core group comes together, it will face a number of questions. One of the most important is whether to proceed as a new and independent group, or to try to collaborate with an existing group or institution. The tendency is usually towards new and independent. 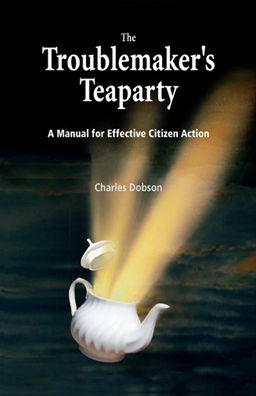 But this approach may be a recipe for inaction. Evidence suggests a lot of small independent and uncooperative groups focused on the same issue fragments the grassroots, making it more difficult to get anything done. The best approach might be to identify other groups interested in promoting dialogue, and form a coalition. If there is more voluteer work to be done than the core group can handle, the main job will be to bring in more people. For suggestions on how to do this see the Handbook section titled, Getting People. Focus on the higher purpose behind the group. But add self-interest and the common interests of those you want to bring in. If you are reading this I assume you care at least a little bit about making a change for the better in the world. At one point or another in your life, you've probably tried to petition, organize, march, or do something else to raise people’s awareness of some very important topic or another. Maybe you just tried to convince a friend or a parent that their politics were all wrong. I'm willing to bet you a scoop of Israeli cottage cheese that I know what happened: you spoke passionately about saving the endangered North Atlantic salmon or about buying iPhones for chronically sad Bulgarian orphans, but people just nodded politely. I'm being cynical, of course, but only because I want to be absolutely clear about this very important principle of nonviolent activism: namely, that people, without exception and without fail, just don't give a damn. This is not because they're bad. Most people are decent and kind and unassuming. They believe, in the immortal words of Liz Lemon from the television show 30 Rock, that all anyone really wants in this life is to sit in peace and eat a sandwich. But they also have a lot on their minds, things like jobs and kids and big dreams and small grievances and favorite TV shows to keep up with and boxes filled with stuff they need to ship back to Amazon. You may think that these things are silly. You may accuse people who just care about taking it one day at a time and tending their own garden of being selfish or blind or even immoral. The worst activists I've ever seen did just that. They got nowhere, because it's unrealistic to expect people to care about more than what they already care about, and any attempt to make them do so is bound to fail. From Blueprint for Revolution, Srdja Popovic, 2015.